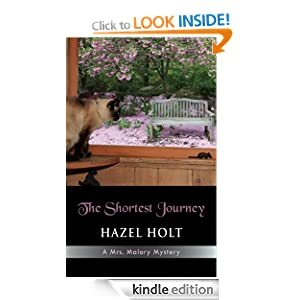 Hazel Holt didn't write (or rather, publish – it isn't always the same thing) her first detective story until she was over sixty. So there's hope for us all! Not that she'd been unpublished until then. As the Literary Executor for Barbara Pym, she'd been responsible for editing, and seeing through the publishing process, Barbara Pym's A Very Private Life: An Autobiography in Dairies and Letters; and, later, Pym's unpublished books. Her biography of Barbara Pym A Lot to Ask had a considerable success when it came out in 1990, just after her first attempt at fiction. 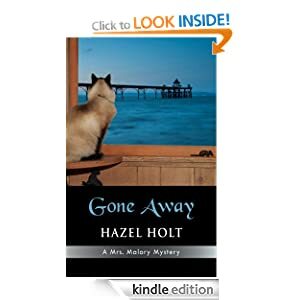 This attempt – and I'm not sure why I should say attempt, for it resulted in a very successful book – was called Gone Away, and it was the first of a series of twenty (so far) books about the very likeable fiftyish widow, Sheila Malory. Sheila lives in a small fictional village called Taviscombe in Dorset. Interestingly enough, Barbara Pym invented this name for her book No Fond Return of Love – but Hazel Holt's Taviscombe, which grows in detail book after book, is certainly not the same place. This isn't the only resemblance between the two writers. Many of Pym's turns of phrase appear in Holt's books. But this just makes them more enjoyable, to me. 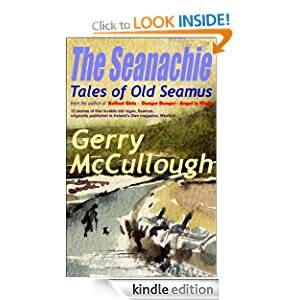 In this first book Sheila is recently widowed . Her husband, Peter, was a lawyer, and her mother had died very shortly before him, leaving Sheila alone, except for her son Michael, who's just started at Oxford; and, of course, her many friends. Sheila, as a detective must be, is unceasingly curious about people. 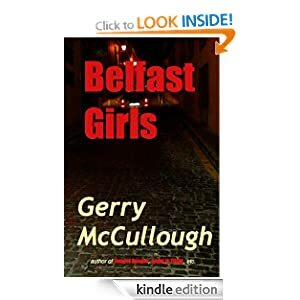 In book after book, it's her interest in things that are happening to her friends or even acquaintances that starts her off investigating and bringing crimes and their perpetrators to light. 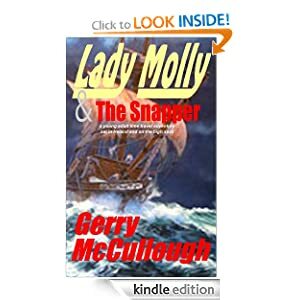 As with most series books, my pleasure is not in one particular book, but in the setting, the atmosphere and the characters – especially Sheila Malory. But if I had to pick one favourite book from the lot, I suppose I'd pick The Cruellest Month. 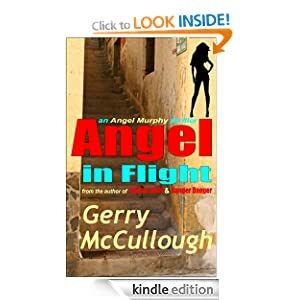 Sheila, going up to Oxford to do some research (she writes articles for literary magazines), finds herself remembering her own time there, and in the course of her usual inquisitive investigating of an unexplained death, stirs up memories of the past, including some of her own which she regrets bitterly having disturbed. A highly enjoyable book. But only one among so many. One of the things I like about Hazel Holt is her titles. Like The Cruellest Month, they tend to be quotes, although not always from poems. One, for instance, is called The Only Good Lawyer... 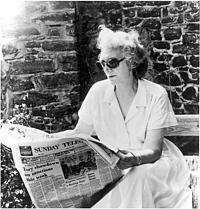 When she'd had ten books published both in the UK and the USA ( where she's been extremely popular) Hazel Holt's UK publisher stopped publishing her books. I don't know the ins and outs of this – perhaps she wasn't 'dark' enough for them? Or perhaps she was unhappy with her contract? However, the USA publisher cheerfully continued with the next few books, presumably because they have a wide market for what they weirdly call 'cozy' crime. (Note the American spelling!) Before long, another UK publisher took her up. But annoyingly the USA publishers insisted on changing the titles to include the name Mrs Malory in each. Now, I have 2 objections to this. Firstly, it's obviously an attempt to put Sheila Malory alongside Agatha Christie's Miss Marple with her formal title. Fair enough, in a way. But Sheila is only called Mrs Malory by strangers and acquaintances. She's more usually known as Sheila by the people she interacts with. Secondly, this leads to some strange titles. I'll only give one example. The third book, The Shortest Journey, was published in the USA as Mrs Malory's Shortest Journey. But 'the shortest journey' is the one from life to death, as spoken of by the Ancient Greek poet Homer. 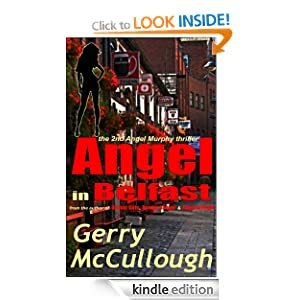 The shortest journey referred to in this title is not Sheila Malory's death – on the contrary, she is investigating what may prove to be the death of someone else. How annoying is that? Nevertheless, I'm grateful to these American publishers for making it possible for me to read the full list of Hazel Holt's books, so I'd better stop complaining. And I notice that the Kindle versions use the original titles – good! I called this post Hazel Holt's sympathetic villains, and it's a fact that the vast majority of her villains ( not by any means all) are people we can sympathise with. Often they end up by killing themselves or being clearly in need of medical help. I'd love to be able to do some analysis of this, but the trouble with writing about detective stories is that you have to be so careful not to spoil the plot. 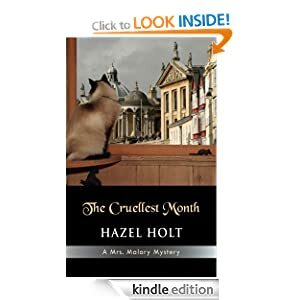 And one thing I should empathise about Hazel Holt is that her plots are always very good, with the essential twist in the tale which is so satisfying. So rather than give too much away, I'll invite you to look into this for yourselves, and see if you agree with me. 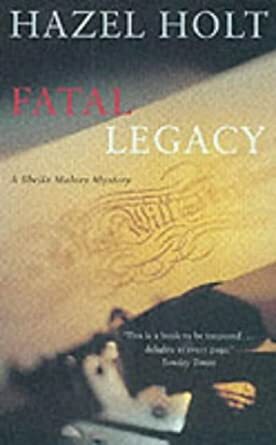 Instead, I'll finish off with a few comments on another favourite Hazel Holt book of mine, which is Fatal Legacy. In this book, Sheila is made Literary Executive to her friend Beth, a famous novelist who dies early in the book. The parallel with Hazel Holt's own experience as Literary Executive to her friend Barbara Pym is obvious. The background knowledge naturally makes this book especially successful and readable, but I think I can safely say that the plot, and Sheila's reluctant discoveries about her dead friend's life, are purely invention and in no way related to Barbara Pym. I'll leave you to find out more for yourself by reading the book. 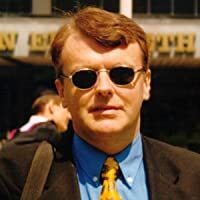 And may I suggest that you might like to read my own books? Here they are, in case you don't know. This blog post is a little different from my usual. 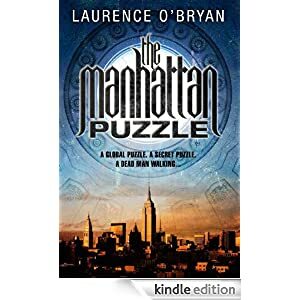 Laurence O'Bryan, an excellent Irish writer whose first books, The Istanbul Puzzle and The Jerusalem Puzzle have both been bestsellers, is bringing out the third in his series, The Manhattan Puzzle, today. You heard it here first, folks, as the man said. So Laurence is guesting on my blog today – something I don't usually do, but, hey, why not be different occasionally? I should really be posting an old favourire, and I intended this to be the very enjoyable Hazel Holt, but that will have to be next time. So here's a new writer, instead. (I blogged about him a while ago, if you remember?) So take it away, Larry! What has been hidden in Manhattan by the most powerful people on earth? What would you do to a Manhattan banker who treated ordinary people like slaves? What magic is buried under Manhattan that allows it to rise again from anything the world throws at it? These are the themes of The Manhattan Puzzle. The story sees Sean and Isabel (my characters from The Istanbul Puzzle and The Jerusalem Puzzle) reunited in Manhattan at the headquarters of one of the world’s largest banks, BXH. There’s been some grisly murders, and now the plot takes a new twist. The contents of the book they found in Istanbul are revealed. My personal journey with this story grew out of my disgust at the financial crisis that has brought many so low. I am interested in the myths and the beliefs of those who value money above everything. But The Manhattan Puzzle is about other things too. For instance, what would you do if your partner didn’t come home one night? And what would you think if the police turned up at your door the next day looking for him? 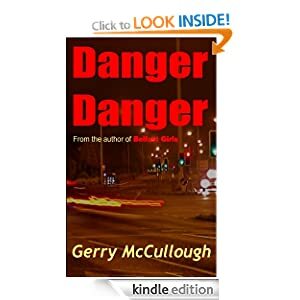 Relationships are under stress everywhere, because of the demands placed on us by our jobs, but few of us will face what Isabel has to face when Sean goes missing. There is violence from the start in The Manhattan Puzzle too, but the opening has a woman inflicting it on a man. I am tired of reading about men inflicting sexual violence on women. I think it’s time for the handcuffs to swop wrists. And they certainly do in The Manhattan Puzzle. You can download the first chapter here as a pdf. But don’t get me wrong. I love Manhattan. It’s a city in a snow globe of dollar bills. So look in your bookstore and on your E-readers and order it too, if you want. To order The Manhattan Puzzle click here. Or to visit my website click here. And thanks for reading this and for buying The Manhattan Puzzle, if you do. I hope you find it entertaining and the themes interesting.